THE recently extended platform 12 at Edinburgh Waverley is now in use, providing additional capacity for the longer electric trains being used on routes towards Glasgow. 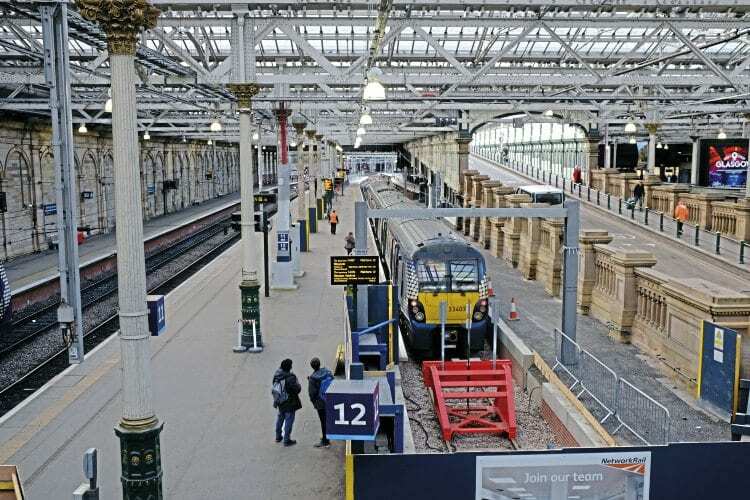 The work was part of a £23million package of improvements being undertaken at Waverley by Carillion to create longer platforms and extra capacity. In recent weeks, ScotRail has been running seven-car Class 380 EMU sets on Edinburgh to Glasgow Queen Street shuttles alongside the six-car Class 170 sets. ScotRail plans to increase these trains to eight-car formations as standard once further platform work at Queen Street is complete and enough Class 385 EMUs are available.